Having a routine is beneficial in that every daily task gets done. But working in a dull environment 9-5, 5 days a week can be exhausting especially when the job is the same every day. Music can help get you through the workweek. Yes, it can be a form of distraction, but it doesn’t have to be. Listening to music at work with headphones or through a speaker can have positive results. Helps avoid boredom and distractions. Listening to music is a great way to keep you focused on the task at hand. When working on something that is not interesting our mind tends to wonder. We start to daydream and thinking about the things we have to do when we get home. Music prevents you from going into those distracting behaviours and helps you stay focused. It can help you get through repetitive tasks. Every job has at least an hour, if not more, of repetitive task. That may be answering the twenty emails in your inbox or entering data into a system before getting to the real mind working assignment. Music makes the tedious task more enjoyable. You tend to get through it faster and in a better mood. Music helps escape a noisy work environment. Working in an office of cubicles can be distracting. There is not a lot of space to separate you from your colleagues. Listening to music can help blackout the distracting background noises. Put on headphones and tune in to your music to keep you focused on your work. It will also lessen your annoyance towards your colleague and you will be able to meet your deadline. Helps avoid interruptions. By having headphones on, it helps you control your surroundings. The music is now the environment you are working in, and you have full control of it. 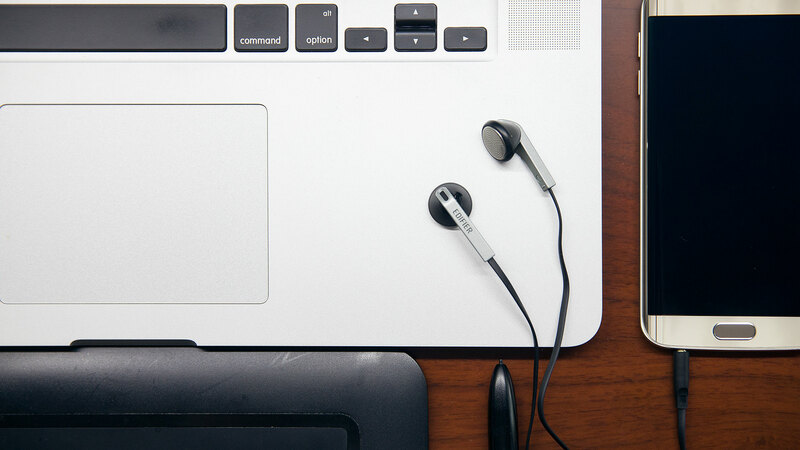 Having your headphones on also sends a visual ‘do not disturb’ signal to others, which will help you complete your work faster with fewer distractions. It helps decrease stress. Listening to your favourite song, even if it is just for a few minutes, automatically puts you in a better mood. It will make you feel calmer and decrease your level of stress. Before you turn to music to help you through the workday there are a few things to note. Not all employers allow it. Ask your boss if they are okay with it before putting on headphones or turning on the radio. Others can also perceive wearing headphones for your entire shift as disrespectful. If you are a good employee whose work will benefit and not be scarified when listening to music, then there should be no problem. Studies have shown that it takes about 15-30 minutes of listening to music to regain concentration. For a boost it is best to listen to music without lyrics. Listening to music at work makes your brain multitask so balance is key.